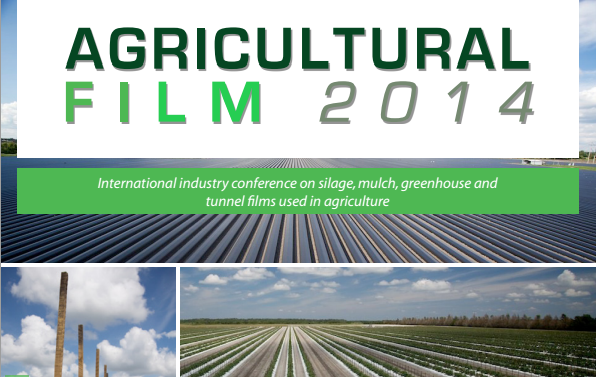 Taking place on the 15th -17th September is the 7th AMI international conference on Agricultural Film. Beatriz Navascues from the Technical Service & Development Department at GCR Group, will be hosting a conference on the last day in relation to Sustainability & Recycling Session entitled "Environmentally friendly plastic solutions for agricultural ﬁlms" where Granic® and Ciclic® benefits for the agricultural film will be explained. Over the past 60 years, agricultural output and productivity has significantly increased and plastic agricultural film for silage, mulch and greenhouse applications has made substantial contribution to this development. The use of plastic films has been notable in the horticultural industry, as well as in preserving and improving quality of silage, contributing to continuously increasing yields. Plastic films have also enabled the extension of cultivation in terms of the growing season and the location through the use of protective mulch and greenhouse films. For players in the market the business is a challenging one with many conflicting trends. On the one hand, population growth and rising per capita calorie intake demands greater food production; on the other, the amount of farmland and number of farms is declining. While plastic films can undoubtedly contribute to improved efficiency and output, film waste and disposal concerns are growing. Agricultural Film 2014 discusses the above issues and presents research findings and possible solutions to the problems faced by today's protected agriculture. It brings together agricultural and horticultural cover specifiers, researchers, manufacturers and the supply chain to the industry and provides a forum to network with professionals active in this challenging industry. You can see full Conference Programme here.